October is a wonderful month, don’t you think? A shift of seasons, for many of us bringing beautiful color schemes of reds and golds. Halloween is just around the corner, with its spooky, scary skeletons, fun stories, and childhood antics fueled by an over-consumption of sugar. And, of course, a metric boatload of doodles, paintings, and designs. In the past several years, October has become known as a month of art challenges, with artists of all different levels putting their skills to the test. 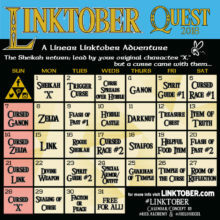 One of the most recent challenges is none other than our friend, Linktober. 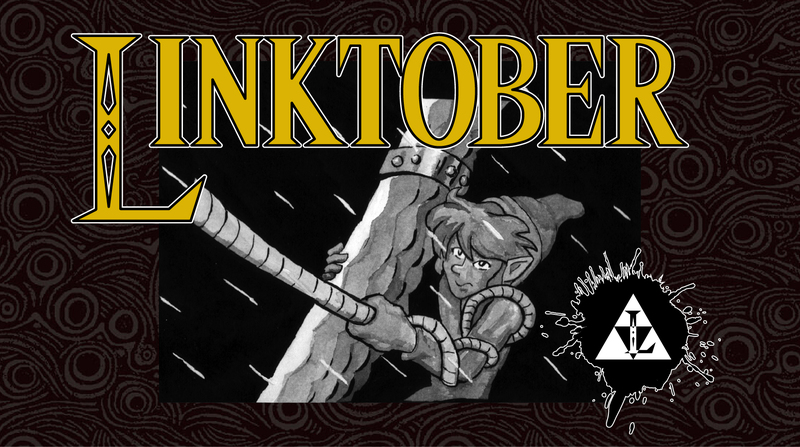 Linktober provides artists a new prompt every day for the entire month based around The Legend of Zelda. With three calendars to choose from – the general calendar, the chance calendar, and a calendar following the story of the artist’s own original character – there is no shortage of inspiration to be found. 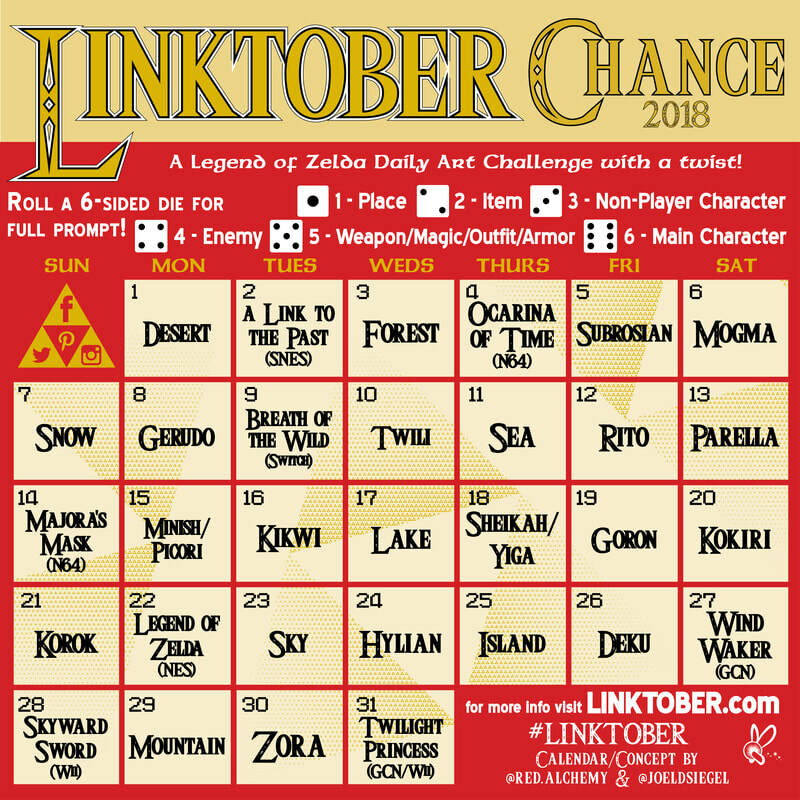 Once a daily piece is complete, the next step is to post it on social media with Linktober’s hashtag, and a crack team of rangers will repost it. So, what’s the point? Well, simple: have fun! By getting into the habit of creating art every day, artists are encouraged to grow and learn, developing and honing techniques old and new. Don’t feel confident in art? Doesn’t matter. It’s not about who is better, and who is best. It’s about being creative, and the love of Zelda. 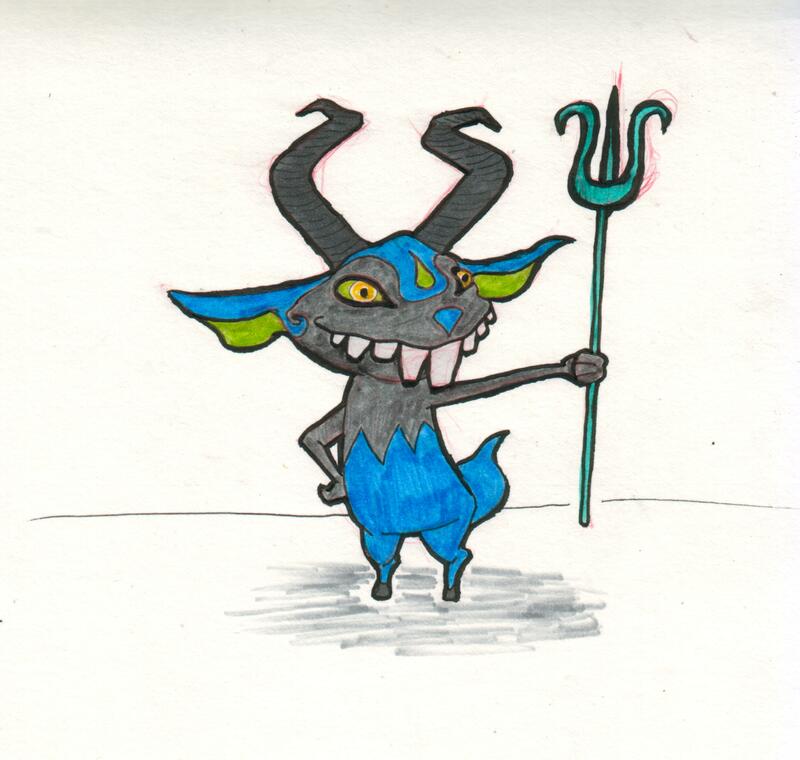 After a couple attempts at Inktober, an art challenge of a similar nature, Joel Siegel, founder, decided in 2015 to combine the challenge with something he loved, and plenty of reference material to make the challenge a little smoother: The Legend of Zelda. 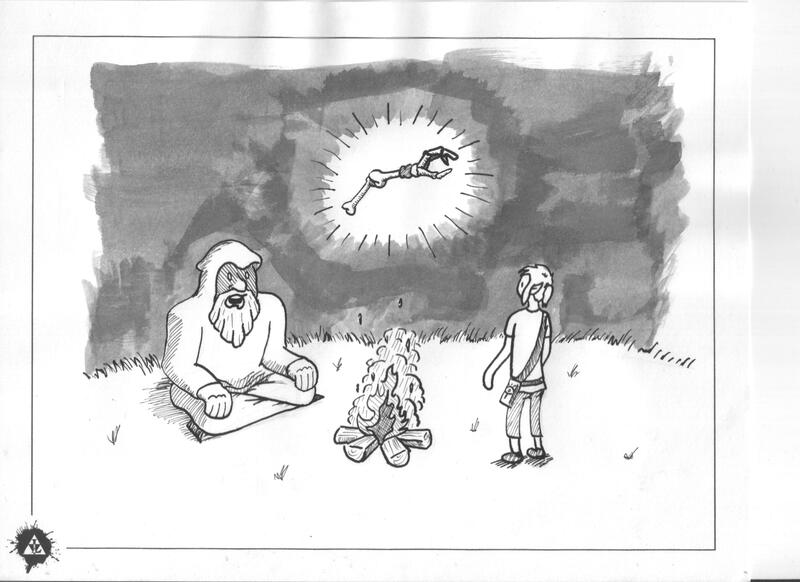 His first drawing came on October 2, 2015, posted on social media with the hashtag “linktober.” Day after day, for the entire month, he posted Zelda art with the hashtag. Upon completion of the month I realized that if Zelda could get me through Drawlloween/Inktober, then perhaps this could be a thing. 2016 became the first official year of the challenge, with around 300 participants. The next year, the challenge saw over a thousand, and this year, Linktober boasts two thousand participants from all around the globe, across all sorts of artistic mediums and all levels of skill. I reached out to Joel to find out more about his challenge, to see how it all came to be. I wanted to know his inspiration and thought leading this growing event. Where did he start with art? Lessons learned and battles won. I wanted him to paint a new kind of picture, one of words, to give to you, dear readers. May it inspire you to get your own creative juices going. Zelda Dungeon: How did you get into art? Joel Siegel: I have always been doing art, creating, and making. Earliest I remember is being signed up for a cartooning class when I was maybe 5 or 6 years old. I made my own original characters too. Since then I have continued to practice in many different ways. My Mom is an artist and taught me a lot about art and really stoked the fire of my affinity for art and creativity. 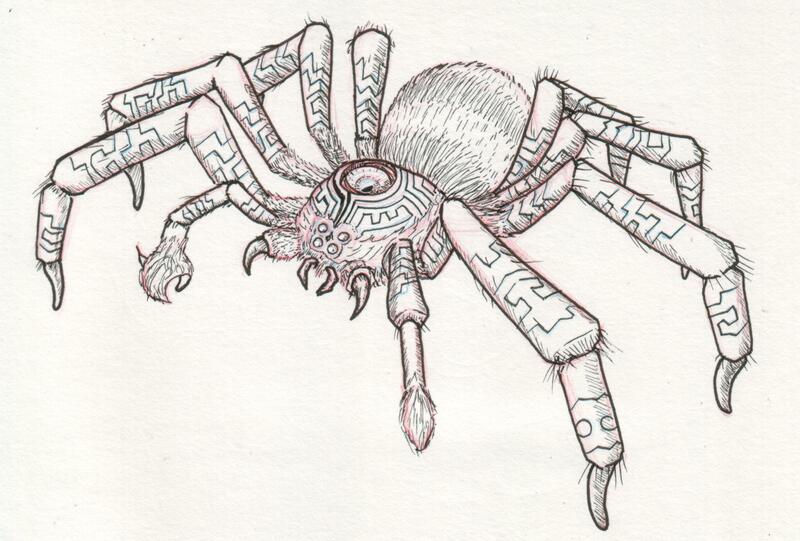 My skills, however, actually came from my Dad, as he used to doodle in high school, and had saved some of those. When I look at his doodles, it looks like I made them. I followed art in school and extra curricular as well. I went so far that I chose to go to Columbia College Chicago for Film with a concentration in Traditional Animation – in other words, I got a degree in animated cartoons. Post college I landed by chance in graphic design and have really remained there ever since. ZD: What are your favorite mediums? JS: My favorite mediums are the old school pencil and paper. [They] are, and will always be, Number One. Followed by inking tools. I am far better at drawing and inking on paper than I am digital. I do digital at times to save time, but have a long way to go on honing my skills in that department. I also really love when I do digital illustration pieces. My methods give me intense control over the pieces since they are vector artwork and I love the cleanliness of vectors. I do not have much skill with paints or sculpture, or even most other mediums, so that is probably it. ZD: What have you learned over the years of putting this event on? JS: [I]t takes A LOT of work. How hard is it to choose daily prompts? Hah! That is the easy part…sort of…but building the calendars, doing the graphics, updating the site, automating the emails, guiding the Rangers, and planning my own artwork [is just some] of the prep that goes into making it work. [I]t is so incredibly worth it. It may be challenging, but it is so rewarding in more ways than just my own artwork. 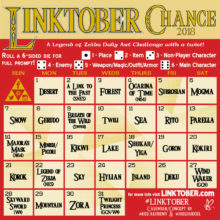 ZD: What have been some of your greatest challenges with Linktober? JS: Oh, easily the greatest challenge was…my wedding. Yup, that is right. I got married during Linktober last year. Being able to time manage, plan, and make everything happen was a great challenge. My wife is incredibly patient with me and my work on Linktober, and the Rangers helped alleviate a lot of the worries and stresses. Our wedding went off great and we didn’t deal with anything Linktober all day. 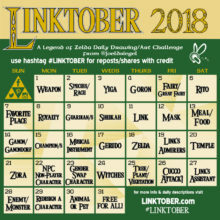 ZD: What have been some of your most prideful moments with Linktober? JS: First and foremost, knowing that I have helped inspire people to create – even if for one day only – is a tremendous feeling, but there is more. 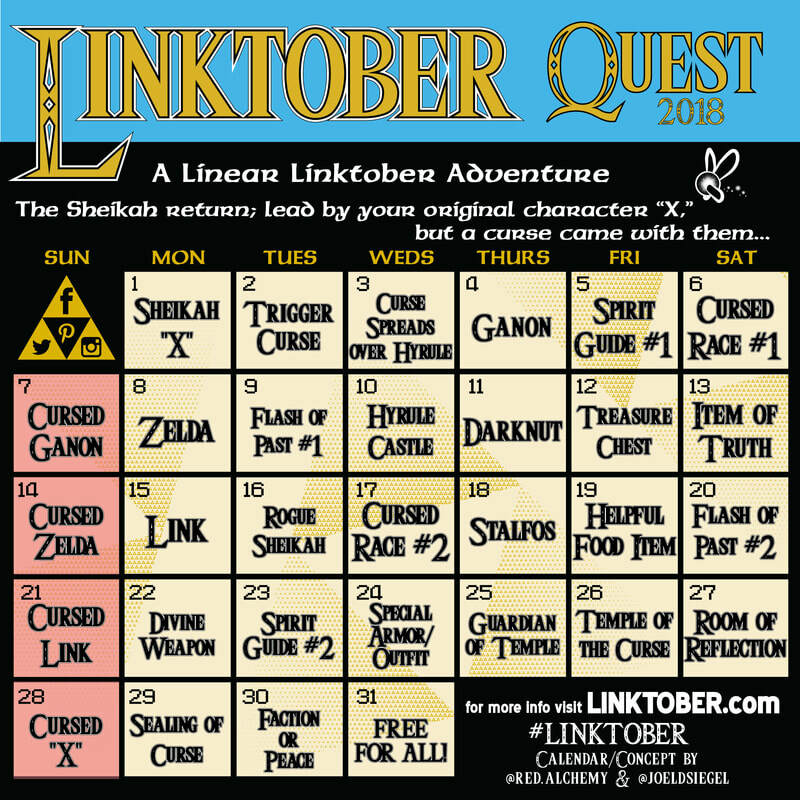 After each Linktober I send out a survey to hear from participants. In these surveys, I get feedback from them…and I have yet to receive anything really negative at all. Most people thank me for making it and for helping them improve their skills. ZD: If you could give aspiring artists one piece of advice that you have learned while putting this event on, what would it be? It does not take an artist to make art. It takes will, drive, and dedication. Art comes in many forms, if one only takes the time to create it. If there is one thing I have learned from following Linktober this year, it’s this: don’t try to be the best. Do your best, and you never know who out there you might inspire. Heck, you might even find inspiration in yourself – I know I have. I picked up art for the first time in almost a decade for Linktober, and I don’t regret it at all. 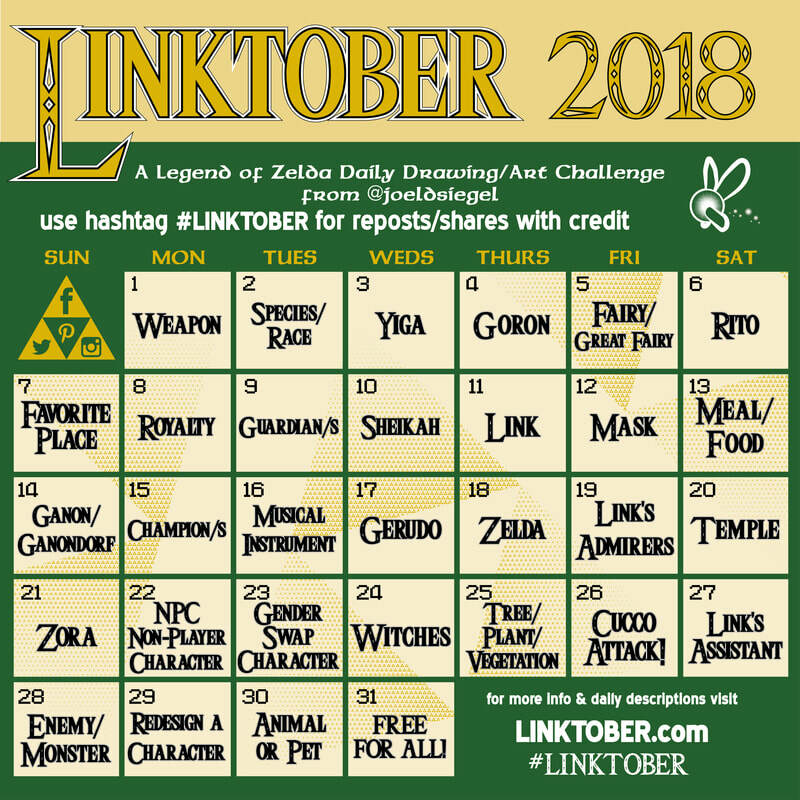 Check out all the amazing artwork for Linktober 2018 on Twitter, Instagram, Facebook, Tumblr, and Pintrest, and find the prompts for yourself on the Linktober website or in the gallery below. Then, choose your medium, don’t be afraid, have fun, and create art. It’s never too late to start! All featured artwork by Joel Siegel. He’s pretty amazing. Follow him here. Kat Vadam is a Senior Editor for Zelda Dungeon. She believes Linktober is one of the coolest things to come out of this month. You can follow her, too.